Destiny lore is complicated, intricate affair that takes a lot of winding paths to get where it’s going. It’s up to the community to put a lot of it together, but few of the lorehounds out there have quite the production value of YouTuber Byf. His latest is a 90-minute breakdown of the lore behind The Last Word, complete with original voice acting and unique art courtesy of Stjephan Sejic to pull it all together. This complete story of The Last Word and Thorn has come with auspicious timing. 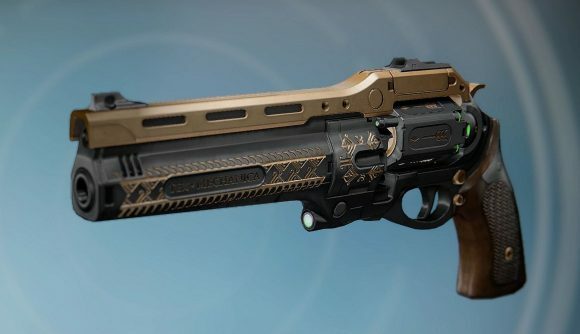 The Last Word is back in Destiny 2 as of this week, and judging by the latest teasers, Thorn is set to return shortly. Both weapons are tied together in the lore. Jaren Ward wielded Last Word, got killed by Dredgen Yor with Thorn, and then Ward’s apprentice took up The Last Word to kill Yor in return. That’s the basic gist as I understand it, though I’ve yet to convince my bosses that sitting down for an entire 90-minute lore video is time-effective research. So rather than attempting to run down the contents of Byf’s video here, I’ll direct you to check it out for yourself. It’s filled with voice-acted stories brought to life with the help of the Destiny community. You can watch that video below. It’s so impressive that it’s gotten a de facto stamp of approval from Bungie itself. The official Twitter pointed fans toward the video earlier today. If you need a more basic primer on Destiny lore before getting into a movie-length explainer on a pair of weapons, you might want to start with Byf’s Complete Story of Destiny. It’s how I got started in Destiny lore, and while I still barely understand a lick of the story, it remains an entertaining breakdown.